3G technology means mobile phones can now transfer data wirelessly faster than ever. This means new applications are possible including digital video recording, cameras, video playback, MP3 music, games, personal accounts and diaries, e-mail and voice recording. Once only available on personal computers, these powerful multimedia features are now supported on mobile phones as well. 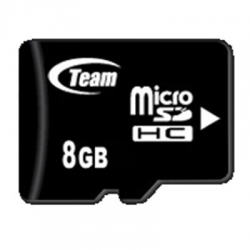 This makes TEAM's microSDHC memory cards with their high transfer rates the perfect match for the high resolution video and photography on mobile phones. TEAM microSDHC memory cards are based on original manufacturer Flash memory and fabricated using an advanced process that delivers fast data transfer rates as well as compact size. This means it's perfect for the new generation of mobile phones, 3G mobile phones and PDAs that offer high quality multimedia playback. 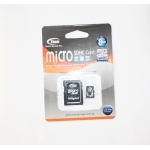 Everything from digital photos, videos, MP3 music, games, maps and multimedia clips can be packed into this small card the size of a fingernail. 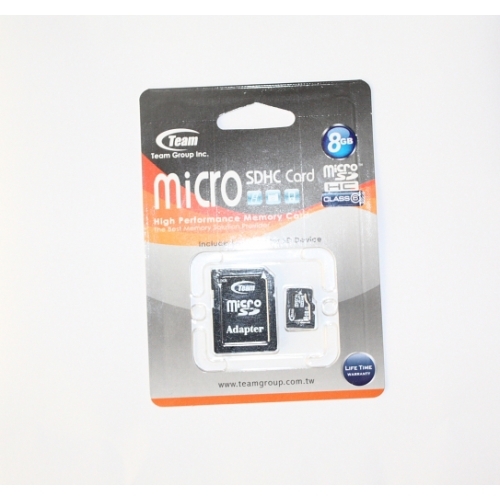 This includes a SD card adapter so you can read it in any SD card reader!